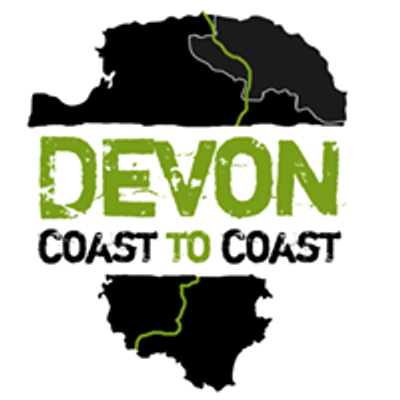 Join us on Easter weekend in 2019 for an exciting and unique event; The 117 mile Devon Coast to Coast. Run 4 legs, over 4 days, covering just over a marathon a day, or complete the 117 mile route in the generous time limit of 48 hours! Listed as a UTMB qualifying race, completion of the non stop event inside 48 hrs will earn you 6 UTMB Points! Alternatively you can join us for any of the Marathon stages over the 4 day weekend. Each stage is listed with the 100 Marathon Club. 19th - 22nd April 2019. Starting in Wembury, in the beautiful South Hams, you will follow the 17 mile Erme-Plym Trail to Ivybridge where you will meet the Two Moors Way, a 100 mile waymarked trail from the South of Dartmoor to North of Exmoor where it meets the sea in Lynmouth. 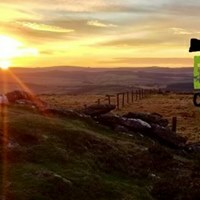 As well as the incredible views from the highpoints of the course, you will pass by many sites on the way: Grimspound stone circle, Fernworthy Reservoir, Chagford, The Teign Valley, Exe Head to name a few. The route even nips over the border into Somerset and back into Devon on Exmoor! Have a particularly favourite part of the course, but not sure that you are able to enter the whole thing just yet? Unable to pull together a team of four for next year? Luckily we are also offering the chance to enter any of the stages individually, for example the first marathon from Wembury to the Dart valley. If this would be of interest then please get in touch. We will ensure you are looked after, with fully-stocked checkpoints including hot drinks and hot food when you need them most! More details to follow on locations of checkpoints, the 4-day start/finish points, as well as accommodation and transport options etc. Put the date in your diary so you don’t miss out! Keep an eye on this page to keep up to date with the event details.